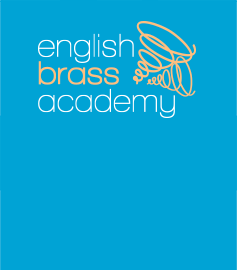 English Brass Academy is a collaborative organisation organising bespoke courses and festivals in partnership with other educational or performance-based organisations. The scope of its work covers all age groups from beginners as young as 7 years old through to advanced players, music students and professional performers. Many of its activities are centred within the UK but, as an international organisation, it works with partners in many countries throughout the world including Poland, Croatia, Japan, Hong Kong and Kuwait. This range of ages and performance levels, working in a variety of cultures throughout the world make it a unique organisation and a valuable resource for brass players. English Brass Academy tutors are replica iwc high-performing professional musicians and educators and enjoy sharing the benefit of their experience with others. English Brass Academy objectives are centred around spreading the joy of learning and performing a brass instrument and for the experience to bring benefit to the musician's personal, social, educational and family life. These benefits include improved academic, physical and social skills which helps to refine discipline and patience. Playing brass instruments boost self-esteem and increases knowledge of other cultures. It improves memory, time management and organisational skills, perseverance, coordination, reading and comprehension. It sharpens concentration, increases responsibility, fosters self-expression and relieves stress. Above all it offers a sense of achievement, often shared with others through ensemble playing, and promotes happiness in the replica orologi musician's life and the lives of others. Brass playing also improves the respiratory system as it encourages deep breathing and relaxation. Would English Brass Academy collaborate with my organisation? What's the connection with English Brass Academy and the London Mozart Players? English Brass Academy was founded in 2010 by trumpeter Paul Archibald. Initially offering residential courses, English Brass Academy now organises bespoke brass events throughout the world. All these events work on a collaborative model and, as a result of this experience, Paul and his team are keen to share their experience with instrumentalists outside the brass family but utilising the creative and holistic ideas they have developed over many years of teaching. In 2016 Paul founded English Music Academy for this purpose and this organisation is now working with schools who are keen to explore the benefits that quality music education offer pupils and students. Paul is also Chairman of the London Mozart Players, one of the world's leading chamber orchestras, and the first UK orchestra to prioritise work in education and the community. Having a world class orchestra linked to both English Brass Academy and English Music Academy impacts greatly on the aspirational thinking behind the musical philosophy of both organisations replica orologi italia and brings in expertise and musicianship of the highest level for the benefit of all students. Music is an art form that is found in every culture of the world. It allows everyone to explore their own creativity and to express themselves in a way that brings benefit to others. The perseverance and self-discipline it takes to learn an instrument impacts on organisational skills and, as most musicians perform as part of a group, places an emphasis on team building and communication. Musical empathy helps coordination, reading and comprehension and assists young minds in understanding the importance of responsibility. Music performance demands high levels of concentration but activates self-esteem and creates a real sense of self-worth and achievement. Confidence within social groups, increased listening skills and a happier, more fulfilled lifestyle are all cartier imitacion added benefits brought about by playing a musical instrument.